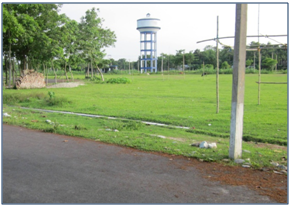 Coochbehar Jute Park, locating at south of existing Cooch Behar Industrial Growth Centre is strategically positioned at a distance of 4 km. 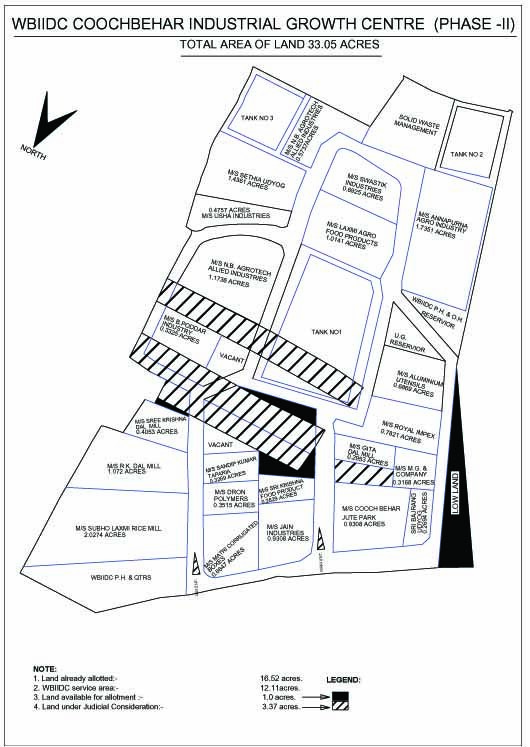 from Coochbehar Town and situated on Coochbehar -Natabari Road and conveniently connected to Cooch Behar Railway Station at a distance of about 2 km. The Jute industry is one of the major industries in the eastern region of India and particularly in West Bengal. Jute, the golden fibre, meets all the standards for safe packaging in view of being a natural, renewable, bio-degradable and eco-friendly product. It has proved to a dependable material for use an alternative to plastic and timber. Technological advancement and continuous research finding by the textile research institutions has changed the profile of jute. Jute fibre being eco-friendly and abundantly available provides ample scope for its application in the manufacture of products for diverse use. Utilization of jute for manufacture of market worthy products has opened up large opportunity. Upholstery, and dashboards and side panels in cars. The new applications identified for jute range from door frames to denim clothes. The nearest major railway stations is New Coochbehar which is a part of the North-East Frontier Railways and is just 2 kms away. Coochbehar is well connected by rail to major cities like Kolkata, Delhi, Mumbai, Bangalore, Chennai and Guwahati. 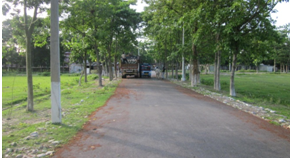 The rail route from Coochbehar is one of the important routes connecting North-East India with remaining parts of the country. Pump houses - 1 no. Submersible Pumps - 1 no. 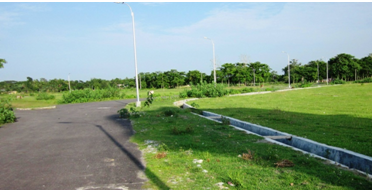 Paved Bituminous Internal Roads have been developed within Park for providing access to individual plots. 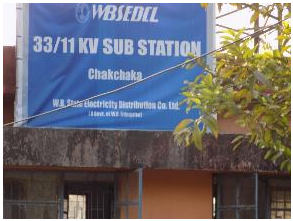 West Bengal State Electricity Distribution Company Limited (WBSEDCL) will supplying stable and quality power supply to the Park from Power Substation location in industrial Growth Centre adjacent to the Park. Adequate power is available in the region. 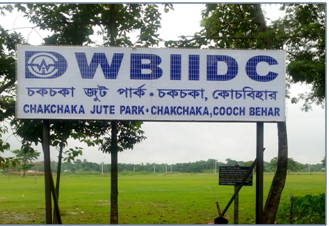 WBIIDC has made requisite arrangements to ensure continuous water supply to the Park by drawing water from tube wells and supplying through overhead reservoir and network of pipelines. 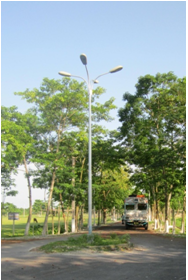 Adequate Street lighting arrangements have been made.